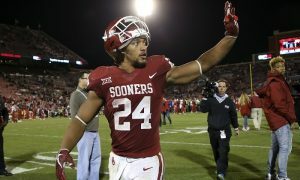 The deadline has passed to enter the 2019 NFL Draft and fifteen Big 12 football players announced they were leaving their respective programs early to take a stab at the next level. Some are likely to be high draft picks, some will be looking at a mid-round selection. But more importantly, what’s the effect on the team they left? Here are the programs hurt most by the early entrees. 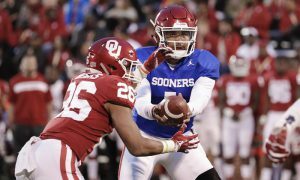 OU is losing five offensive players in just early entrees to the draft. 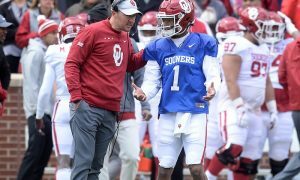 They include Kyler Murray, Rodney Anderson, Marquise Brown, Bobby Evans and Cody Ford. With Evans and Ford leaving, OU now has four offensive linemen they’ll have to turn over in 2019. The running game was solid all season, but once Anderson went down with an injury, it never felt the same. However given his track record with injuries and his breakout 2017 campaign, it’s very understandable as to why he’d leave. Marquise Brown is slight with blazing speed, and he’s proven all he needs to at the college level. 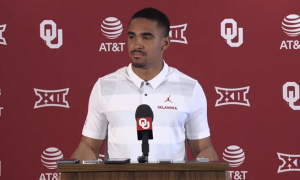 There’s little doubt that OU doesn’t rebuild, it reloads, whether it’s within the program, or landing a transfer like Jalen Hurts at quarterback. 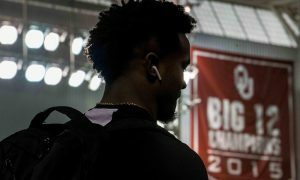 But to lose this kind of talent, some of whom were part of two-straight runs to the College Football Playoff, isn’t easy or preferable for any program. Other programs lost a larger number of players, but no program lost two players with the kind of impact on and off the field like Iowa State. Running back David Montgomery and wide receiver Hakeem Butler are both heading to the NFL. They were both incredibly important parts of a team that had its best back-to-back seasons for this program in nearly 20 years. At the running back position, it makes sense for Montgomery to save whatever carries are left in his body for the next level where he gets paid. Butler is incredibly gifted, but consistency was at times an issue, and it will be interesting to see how the NFL grades the former high school basketball player, who might be one of the most intriguing players entering the draft. Iowa State has players to step into their respective place(s), but they’re not the Sooners who simply reload NFL talent with guaranteed NFL talent. Running back Alex Barnes left, which once again, any time a running back leaves early, I understand it. 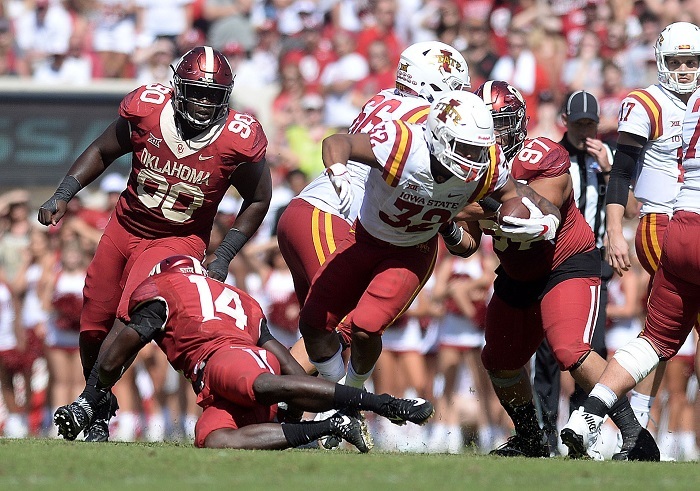 Barnes averaged a Big 12-best 113 rushing yards per game and his 256 carries were second in the Big 12 to only David Montgomery. But Kansas State was already losing two running backs to graduation and the program didn’t take a true running back in the Class of 2018, making this an even tougher loss for the Wildcats. David Long is the only player leaving early, but boy is this a big loss for the Mountaineers, who are transitioning from Dana Holgorsen to Neal Brown. Long recorded 111 tackles, 19 tackles for loss, and seven sacks in 2018 and was the leader of the defense. WVU is not exactly Linebacker U, so replacing him is not going to be easy. Good luck, Neal Brown. Despite losing a great running back in Justice Hill, and really good players like WR Tyron Johnson and DE Jordan Brailford, I’m not overly concerned. The Pokes are in fine shape in the backfield thanks to Chuba Hubbard and while Tyron Johnson was solid, he did not produce like I expected him to when he came over from LSU. 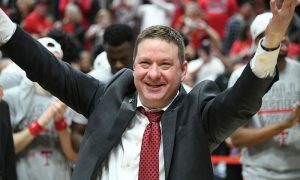 Plus, the team still has at least one more season, and likely just one more season, with Tylan Wallace leading the way. And the wide receiver position is rarely lacking depth in Stillwater. Brailford is probably the toughest loss of the bunch as he leaves after recording nine sacks this past season. Antoine Wesley lit up the Big 12 this season and it came out of no where. 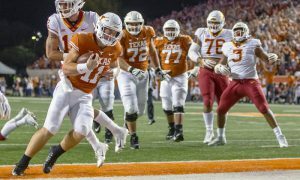 He was the Big 12 leader in total receptions and receiving yards, and with Kliff Kingsbury fired, and Matt Wells hired, who knows if Wesley would be able to duplicate those numbers come 2019. Strike while the iron is hot. It’s certainly a big loss for the Red Raiders, but considering the depth at the position that Kingsbury piled up, it’s probably not as big of a loss at it appears on paper when a team loses the conference’s top receiver (by the numbers).